Auerbach Glasow provided architectural lighting design for the centerpiece of the Rose Center for Earth and Space -The Hayden Planetarium. 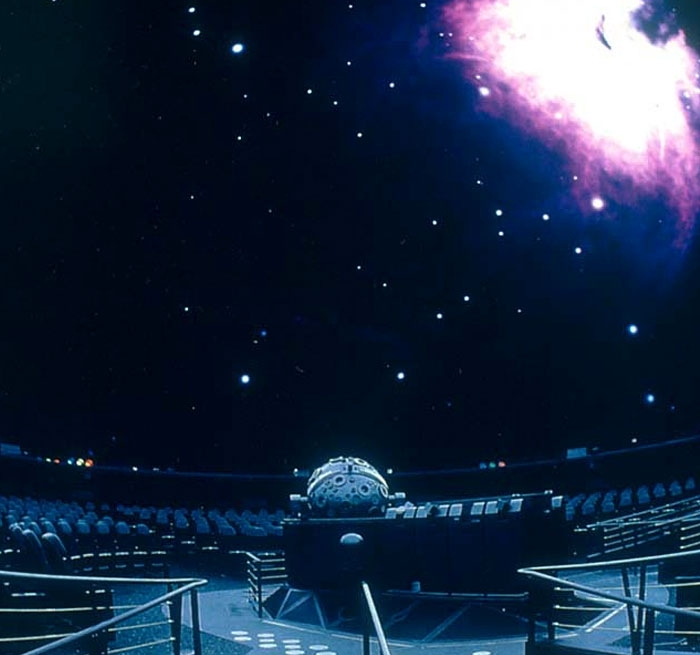 This exhibition and research facility, called the most technologically advanced planetarium in the world at the time, also includes the Dorothy and Lewis B. Cullman Hall of the Universe, the Harriet and Robert Heilbrunn Cosmic Pathway and the David S. and Ruth L. Gottesman Hall of Planet Earth. Illuminated by a theatrical-architectural lighting system, the domed ceiling of the planetarium provides the general illumination (house lighting) for the space. The dome, a scrim of light-colored perforated aluminum mounted several feet inside the outer surface of the sphere, is equipped with a color changing series of striplights mounted end-to-end to illuminate the dome from the horizon point. This system allows the dome to be washed in almost any selected color. Additional accent lights define the perimeter wall of the audience area. All lighting is controlled by a theatrical lighting console that is also cued from the master show control system.